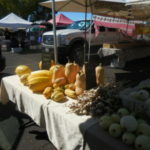 The Wednesday market features a wonderful array of Sonoma County producers selling seasonal produce. The focus is local. 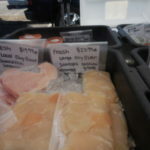 the market proudly supports small producers. 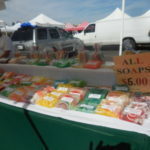 Whether it’s street snacking or weekly shopping on your to do list, The Wednesday market is a great place to stock up. And it is going to be sunny. The vendors of the Wednesday market — everything from soup to nuts. 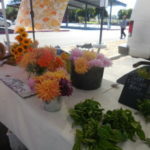 Grab wonderful farm to table fare from our great chefs or to take home for easy and wonderful meals. Welcome Golden State Pickle Works . 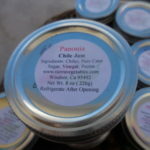 http://goldenstatepickleworks.com/ Fabulous fermented foods made from ingredients from local farmers. 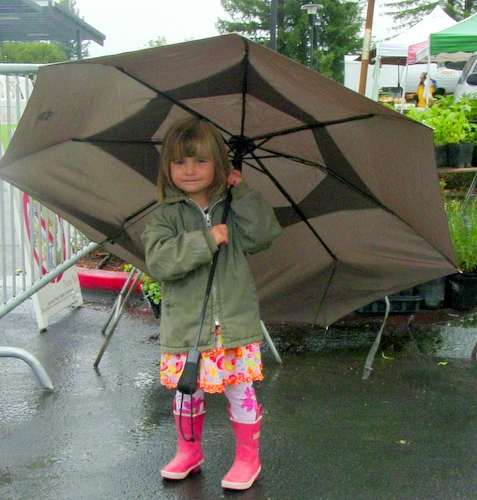 Tomorrow is going to be sunny but then some more rain (yay) Time to stock up for some great and easy rainy day dishes. If you just want to snuggle by the fire – there are plenty of wonderful things for you to take home. At the most, all you have to do is heat and eat. Anna’s Seafood has lobster cioppino smoked salmon, and two tuna salads. Straus Organic Dairy Milk in glass returnable bottles, yougurt and ice cream. Bring your refrigerated bag. The Hummus Guy has all kinds of hummus and chips but they also have salads and fresh baked pita bread. Min Hee Hill Gardens As well as wonderful seasonal produce, they also have wonderful pickles, kimchee and dried pepper blends. 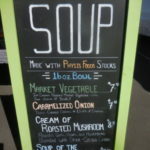 Physis Foods is your must-stop for winter soups and stews. They have homemade stock that will make your 15-minute dinner taste like it’s been cooking for hours. 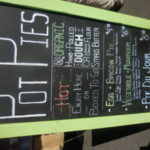 Physis also has soup and individual pies. Queen Bee has wonderful granola and pastries. Tierra Vegetables Great seasonal produce but also some pantry products designed to up your flavor quotient –a lot of chili pepper products. 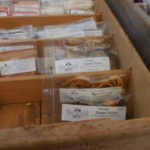 If you had to give up bacon check out the dried smoked onions. They also have dried beans and polenta. 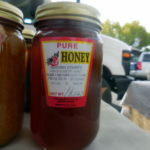 Hector’s Honey seasonal honeys and great produce brought to you by bees. 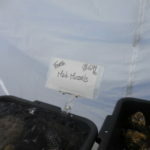 They have tomatillos, still tomatoes, garlic, new potatoes and more. 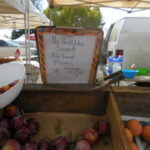 Ridgeview has apple, melons and great salad fixin’s. Pepper Ranch – you can ask which came first the chicken or egg you can get both and they are good. 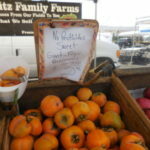 Schletewitz Family Farm pomegranates, persimmons, grapes an the very last of the summer fruit. 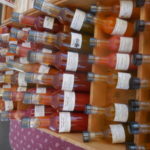 Future Eats Seasonal juices — Bring a container and get some for non-market days. 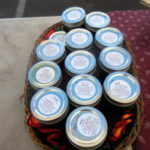 Berkmans Spices – no matter what you want to cook-up they can help you do it. A nice of salt-free blends as well. Eyrie Olive Oil Local Olive Oil. 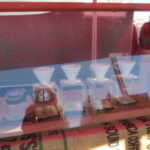 If you haven’ tried it, stop by for a taste. You’ll be surprised at the difference. This Saturday two of our vendors -neighbors at the market- John Rizzi and Royale Hare’s Karen Embry will be demonstrating spinning. Not on a bike. Karen’s beautiful hand dyed yarns are well known but you probably didn’t now she is also an inventor and has improved a spindle that is now the gold standard for spinners. Also Jim and Dave are back! The best chestnuts ever. 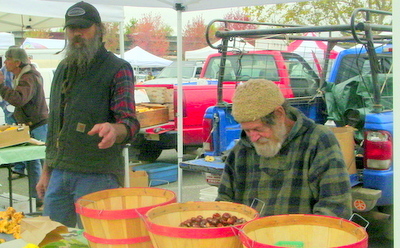 They are only at the market as long as they have chestnuts — they don’t last long. 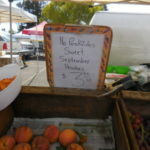 October in Sonoma County so beautiful and so tasty. October 29th Alma from Alma’s Oil Cloth and Sebastopol Berry Farm is going to help create “day of the dead” at the market, Come and paint a sugar skull. 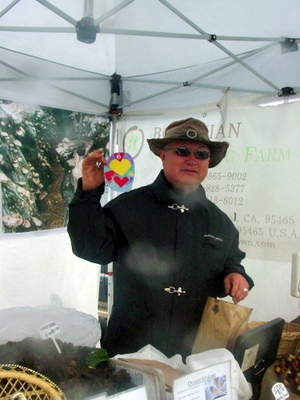 Every Wednesday and Saturday year round, rain or shine 8:30 -1PM at the Luther Burbank Center for the Arts. Oh boy it’s raining. 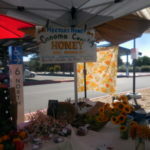 A good time to say we are a year round, rain or shine market. So get out your rain gear. This is Northern California and we are hoping for a good rain year. 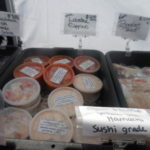 The Wednesday Market is a great place to come and hang out. 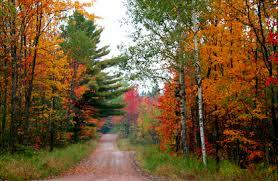 Grab a great cup of Taylor Maid Coffee and Pie from Physis Foods or get a complete breakfast from Sinful Fusion. The Wednesday market if full of pantry essentials to make getting meals together easy, fast and so good. 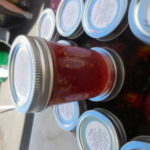 Tierra Vegetables has wonderful hot pepper products – perfect for spicing things up. 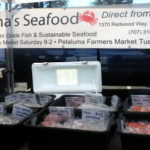 Anna’s Seafood is now a Wednesday regular – prepared items as well as fresh, local seafood. 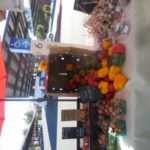 The market is full of all things fall peppers, pomegranates, grapes, apples, and pears. 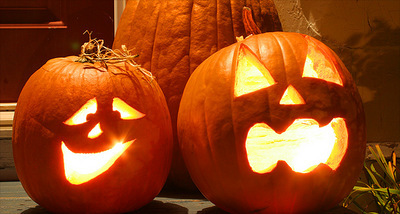 October is really orange this year. Post-season play for the SF Giants continues. Five more opportunities to have some great game day snacks. 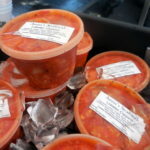 In the no work snack department – Mi Fiesta and the Hummus Guy have great chips and dips and salsas mix and match. 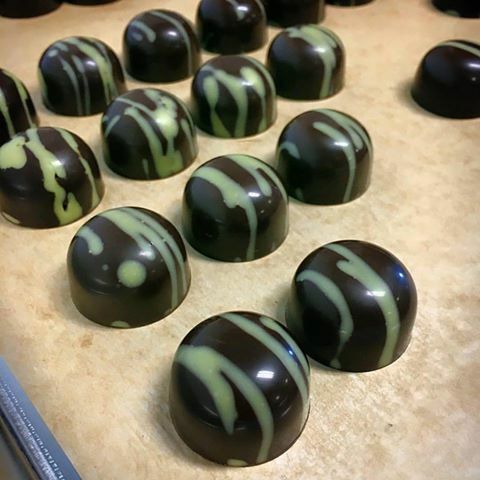 New this week: Lucy’s Peruvian Cookies and Phi Kind vegan chocolates. 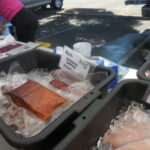 The Wednesday market is so cool – there is always something new to try. This week we welcome Phi Kind vegan chocolates. Puer Pure Tea will be on hand. Wonderful teas and beautiful packaging. Sinful Fusion – Turkish Street Food so good!